Atty. 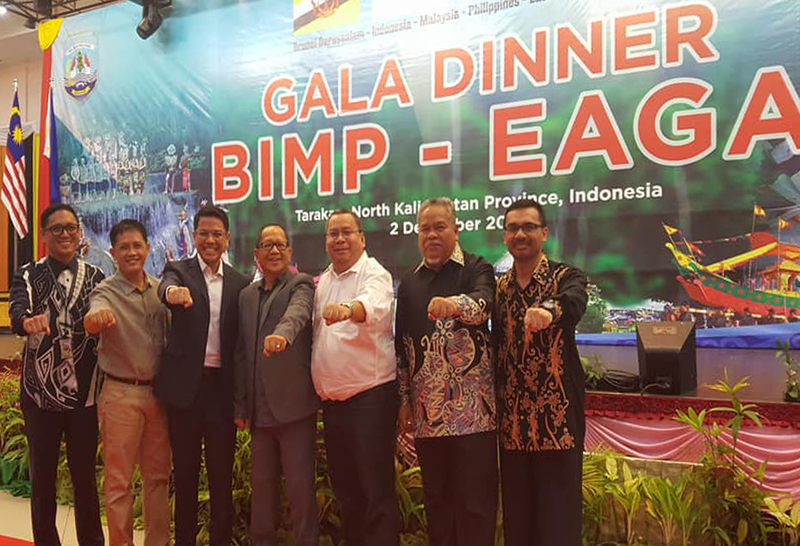 Maqtahar L. Manulon and Dr. Abubakar S. Asaad, together with the other participants during the Gala Dinner for BIMP-EAGA representatives in Tarakan, Indonesia. Dr. Abubakar S. Asaad and Atty. Maqtahar L. Manulon, Regional Directors of the Philippine Statistics Authority (PSA) in ARMM and Regiona XII, respectively, together with other representatives of other agencies, attended the 21st Brunei Darussalam-Indonesia-Malaysia-Philippines – East Asian Growth Area (BIMP-EAGA) Ministerial Meeting and Related Meetings last November 30 to December 3, 2017 in Tarakan, North Kalimantan, Indonesia. BIMP-EAGA is a sub-regional cooperation organized in 1994 that is primarily designed to spur economic development in the lagging sub-economies of the member countries by delivering competitive and green manufacturing; sustainable, competitive and climate resilient agro-industry and fisheries; and sustainable tourist destination. BIMP-EAGA has been trying to shift from the “business as usual” to a more dynamic approach to EAGA development. The Ministerial Retreat conducted last year focused on the discussion of future directions of the region and way forward, specifically on BIMP-EAGA Economic Corridors Development Approach and BIMP-EAGA Green Cities Initiative. Ministers suggested the use of Economic Corridors Approach as a method for development. This includes the expansion and identification of specific points of priority economic corridors in the region considering the area’s recent developments, potential corridor value, chains, and expansion of participating provinces. This approach also suggests the adoption of an area-based approach including key features, local interventions and institutional mechanisms. Moreover, the representatives requested on the acceleration of the development and implementation of the Green City Action Plans (GCAP) which includes the propagation of low-hanging fruits. The implementation of GCAP must be replicated to other cities. The local governments are also encouraged to strengthened their participation in the Green Cities Initiative (GCI). As per guidance of the Ministers, there must be an established network of cities aimed at promoting green investments and adopting best practices across the sub-region. Dr. Asaad and Atty. Manulon will also be attending an upcoming BIMP-EAGA event this February 2018 together with other Regional Directors of PSA in Mindanao Cluster and Palawan.